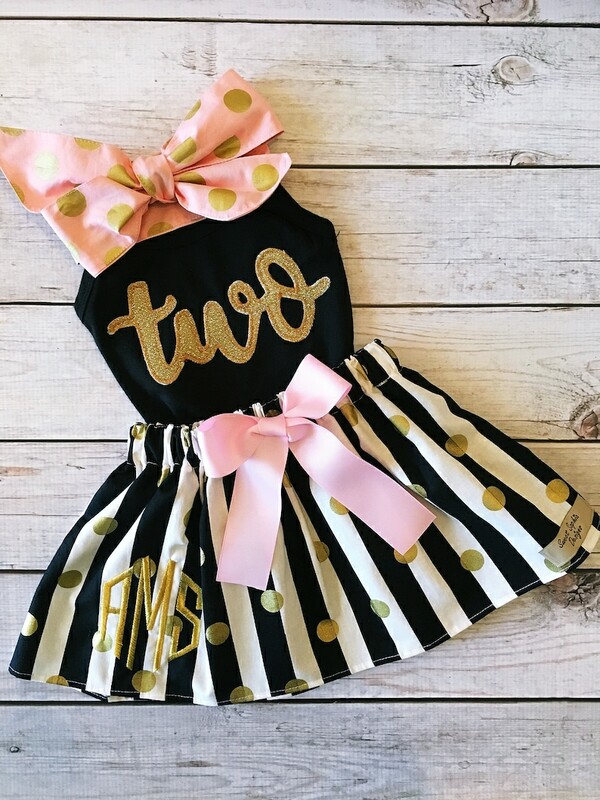 Second Birthday Outfit in pretty Blacks, Pinks and Gold. Two Piece Set includes top and Skirt. Came exactly as shown, fits perfectly! I have gotten so many compliments on the outfit, absolutely love it! Shipping was fast. Looks sooo cute !! Material is very good quality. I requested a red bow on skirt. My baby wears 3t so i purchased a 2 in top (it was a little big). And a 3 in the skirt.